While the concept of dignity can mean many things to many people, fundamentally it represents an inalienable inherent worth of each individual. Dignity is best illustrated when it includes respect for one’s privacy, diversity, and preferences; compassion for one’s emotional state and needs; and, sensitivity toward one’s right for autonomy, purpose, and freedom. Dignity should be appreciated, valued, and enhanced in others in all aspects of life. Health care organizations can benefit from developing patient experience strategies that address a universal desire to view ourselves as possessing a feeling of self-worth. The desire to experience dignified encounters in health care challenges caregivers to maximize and manage the dignity of patients, families, employees, and everyone the organization touches. Dignity in Action, Inc. can help your organization identify opportunities for developing patient-centered approaches to maximize the impact of dignified work. Go beyond patient satisfaction to involvement, engagement, and high levels of participation. I will help you hear the patient’s voice in order to better understand how to help reach their health and well-being goals. How can you reacquaint your employees with their passions and sense of purpose in health care? I have experience in diagnosing issues with perceived roles, communication, and employee engagement. Let’s work together to reconnect caregivers with patients and your organization. A patient-centered approach often requires changing hearts and minds. Improving patients’ experiences has significant impact on bottom-line metrics. We can work together to reframe issues of patient experience into organizational imperatives. 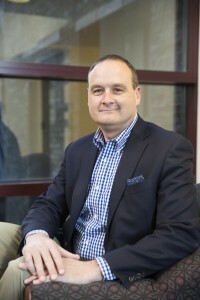 Professor Gallan is a national thought leader in the emerging field of the patient experience. He helps define the field both in his teaching and his rigorous scholarship on the topic. Andrew had the foresight to see that there was the need for graduate level education on this topic and pioneered this nationally. His work in the field is informed by his real passion for the importance of this field and profound understanding of the patient’s viewpoint. Through Dr. Gallan’s patient engagement research at Advocate Health Care, he has helped our leaders to gain useful insight into the patient experience. As the health care industry becomes more retail oriented, it is critical for health delivery systems to better understand what the key drivers are that influence the patient and consumer experience. Dr. Gallan has conducted both quantitative and qualitative research in our acute and home care setting that have enabled us to sharpen our focus so we can better build patient and family loyalty. Andrew Gallan has worked with our organization for nearly two years and in this time has asserted himself as a highly valuable resource to our patient satisfaction and engagement efforts. In his role, he is actively engaged with our Executive Management Team on a regular basis. His work analyzing our historical data and ability to explain the implications of those in a clear and insightful way was pivotal to our efforts. He allowed us to see elements of our patients’ experiences we would not otherwise have seen and guided executive consensus to reset focus in a very meaningful way. Over time, he has been very effective drawing upon his experience and bringing evolving thought forth to guide our approach to metrics and goals, and strategic and tactical effort as well. He is clearly a thought leader in this area. He also works hands-on with our front line care providers and patients identifying helpful insights and barriers to our efforts. He is effective working at all levels of our organization. As the executive sponsor for our organization’s patient satisfaction efforts, I have found Andrew to be invaluable. Michael R. Commet, MBA, RPhVice President, Advocate Home Care Products, Inc. I have had the pleasure to work with Andrew Gallan and experience his consultative services over the course of past two years. For Advocate, Andrew’s ability to both frame an idea with context and get detailed on process has been invaluable. Last year we struggled to understand how a “net promoter-type score” would benefit the organization. Andrew’s framework helped Advocate rethink the use of the score and ultimately supported the incorporation of the metric into our existing patient satisfaction metrics in a meaningful way. Additionally, Andrew has been hands on in supporting one of our patient care divisions not merely in improving satisfaction, but rather understanding patient needs that are unmet. Advocate At Home has been working with Andrew Gallan, PhD over the last two years to enhance our patient experience and create a culture of service excellence. Andrew has been integral to reviewing, analyzing and interpreting the results of our patient experience survey results. Andrew has also gathered information on the patient experience by observing our staff in the field and dialoging with our patients about their experience with our organization. This information has been foundational to the development of our patient experience strategic plan. We are confident the strategies we are implementing with Andrew’s input and consultation will produce the desired patient experience results. Andrew has an excellent command of the patient experience and how it can be integrated into the culture of an organization. I would recommend him without hesitation to any organization who is considering strategies to improve their culture of service. Andrew Gallan joined our AMITA North Patient Experience Steering Committee during several of our early meetings. He provided insight, expertise and thoughtful questions as we began our journey. I would like to thank him for his collaboration and professionalism. What an inspiring keynote address you gave at PFCC VisionQuest! I am glad you were able to join us in Pittsburgh and share your expertise on service design with our PFCC VisionQuest audience. Your insights on the importance of shadowing were especially appreciated, and we look forward to collaborating on the research study and other endeavors in the future. Andrew Gallan has worked with these fine organizations. To see how Dignity in Action can change your organization, get in touch with us!